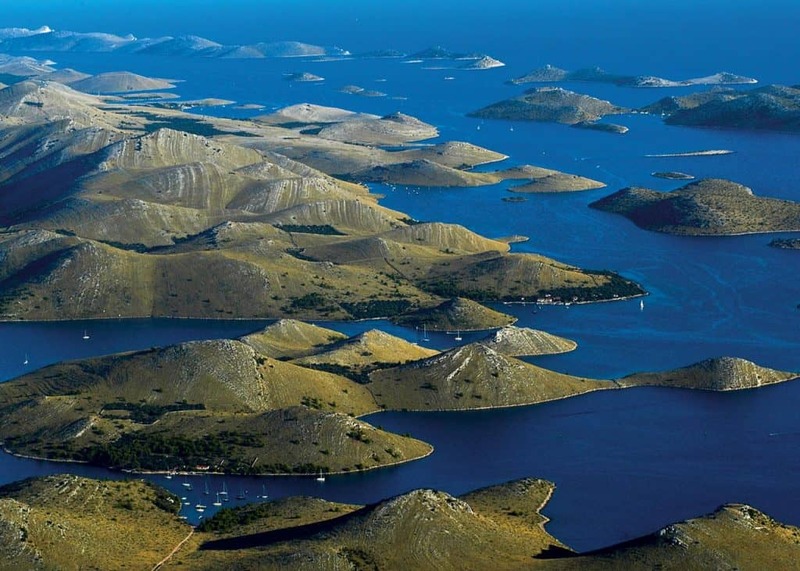 Telašćica bay and the nature reserve of the same name lie on the south-eastern side of Dugi otok (43˚ 53′ N, 15° 12.9′ E), facing the neighboring Kornati archipelago. The bay is dotted with islands, small capes and coves, and the most popular is the Mir cove, whose salty lakes and cliffs are difficult to sail in, but a joy to explore. Telašćica is one of the largest and best protected bays in the Adriatic, naturally divided into three parts separated by narrow passages – in late Latin allegedly tre lagus, which later turned into the name Telašćica. The bay is extremely well protected from the winds coming from the south and the north, and its many coves offer a safe haven in almost any weather conditions. Anchoring is allowed throughout the reserve, with most of the buoys set up in the Mir cove, as well as the coves of Tripuljak, Kruševica i Kučinmul. Mooring by the buoy is free, but the entrance fee to the reserve is 45 euros per yacht (for yachts and vessels between 34 and 59 feet). 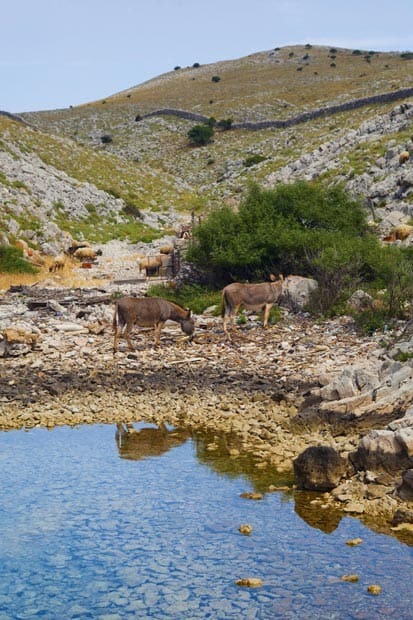 In the eastern part of the Telašćica bay, visitors are most keen on the Ćuška Duboka cove, rather shallow (3 meters maximum) and the Mir cove – in bad weather, moor the yacht to the bollards ashore in the first one, and stay away from the shore in the second one. The Mir cove is famous for its salty lake with healing mud, and the endemic cayman eel – a rather large eel that can weigh up to 3 kg, but is completely harmless. The outside part of the Telašćica bay is rocky, with cliffs more than 150 meters in height, offering spectacular views of the surroundings. In recent years, the bay has become a natural donkey preserve, so keep your eyes open if you want to make some long-eared friends.